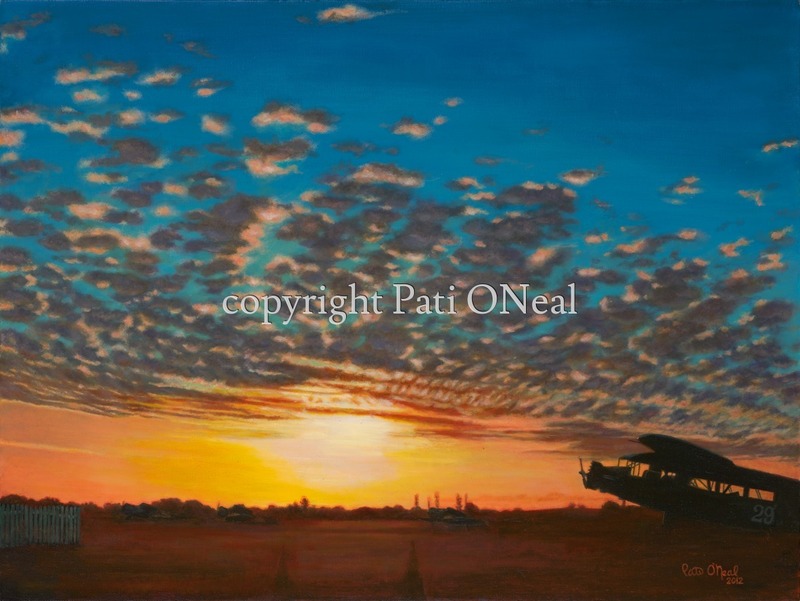 A Stinson Tri-motor with a magnificent breaking dawn. Original oil on canvas in private collection. Contact the artist for a similar commission. Open edition giclées and matted mini-prints available.